If you’re like me, you hate to waste. 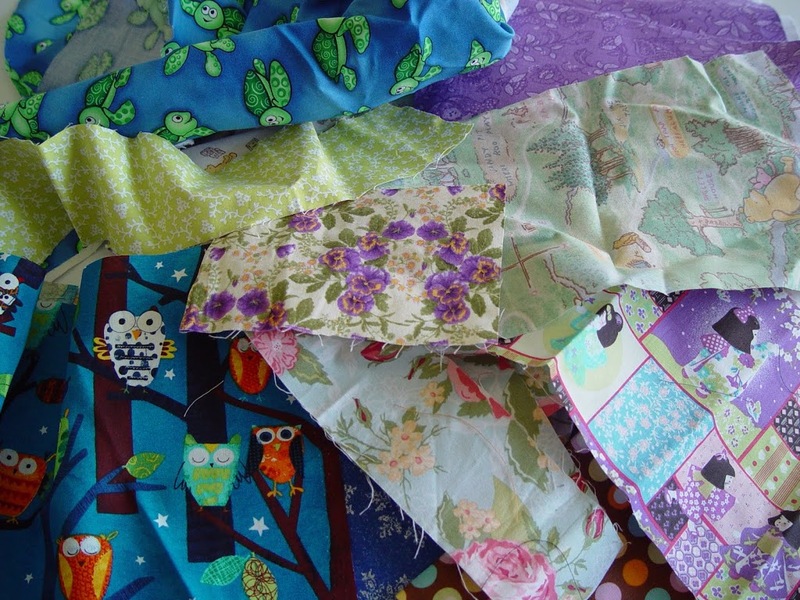 So for today, Earth Day, I thought I’d share with you one of my uses for scraps of fabric. 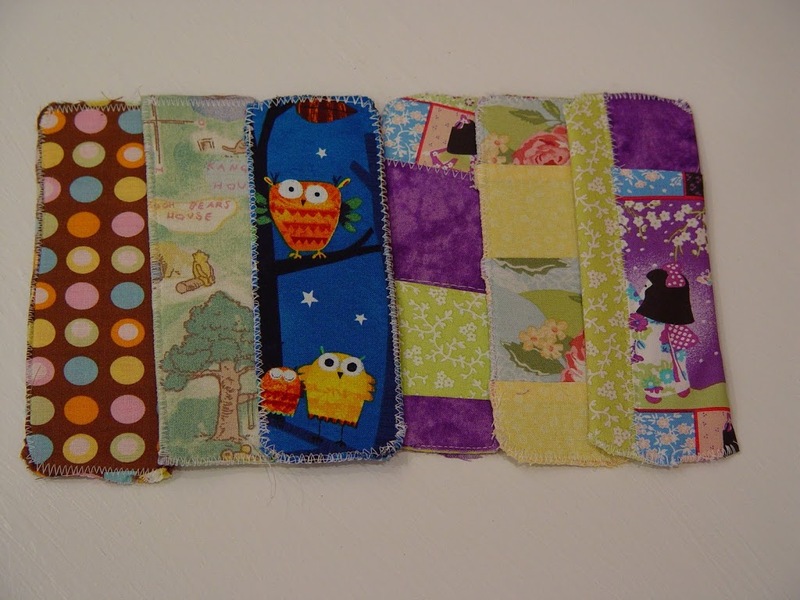 Scrap Bookmarks! They’re so easy (and make a great gift in addition to a gift card for your favorite book store). So start with your pile of scraps! You don’t need much for each bookmark. Little pieces that you didn’t think you’d use work great! 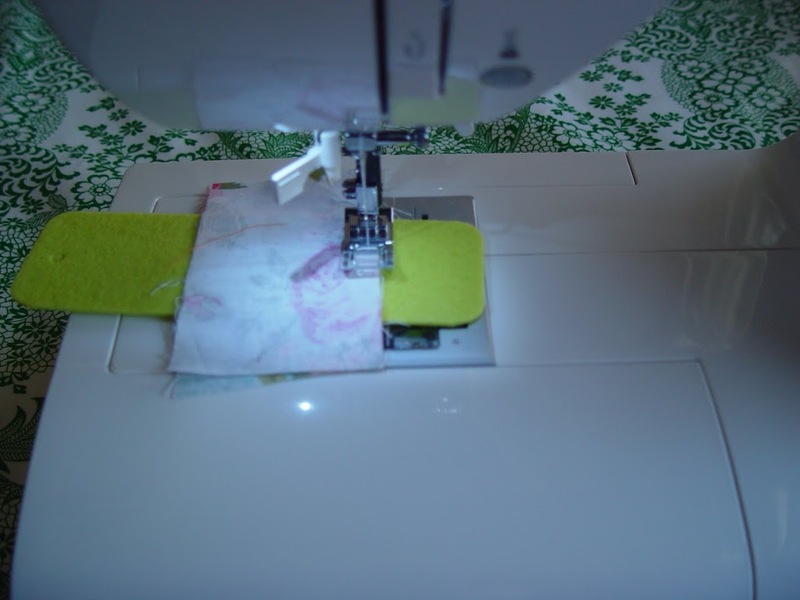 Set your machine to a longer straight stitch. 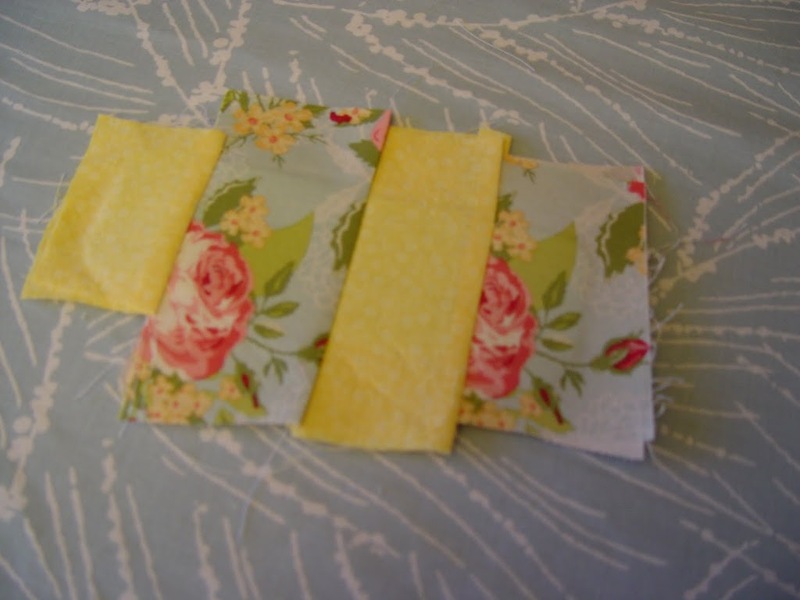 Take two pieces of scrap fabric, (don’t have to be the same pattern, just roughly the same size). 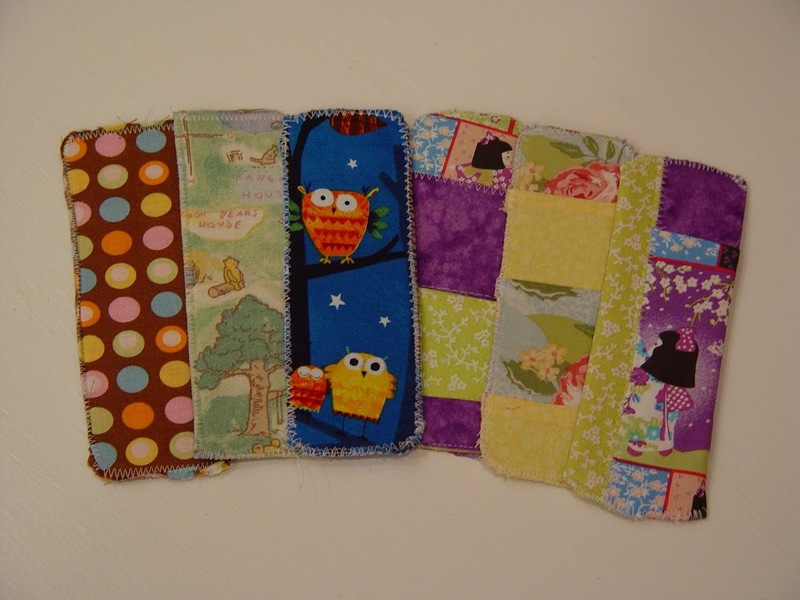 Sandwich them together with your bookmark shape (from felt or interfacing) making sure the fabric is right sides together. Sew them together. 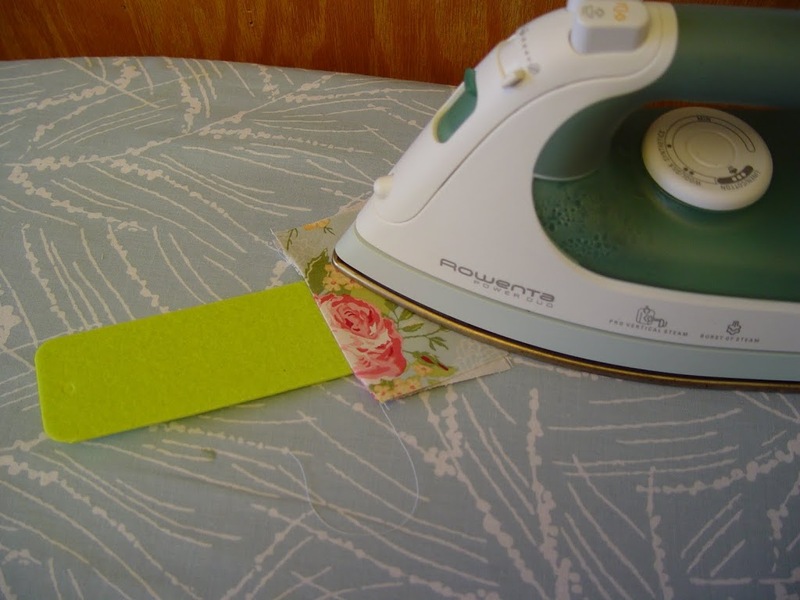 Fold the fabric back, right sides out (on both sides of the bookmark) and iron flat. Sandwich the next scraps of fabric as before, and sew again, making sure you sew through the last layer (the blue floral shown above). Fold back across the sewn line and iron. Continue in this manner until you’ve covered the bookmark. 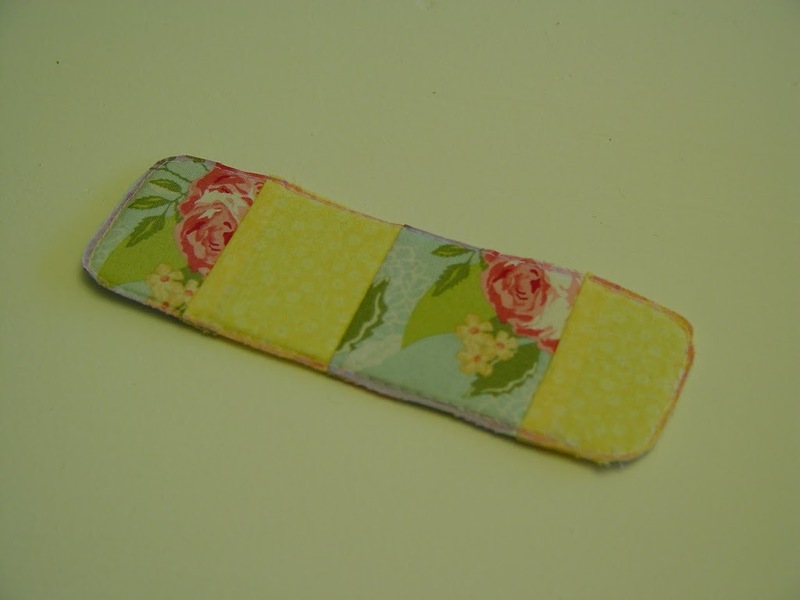 The next step is to sew around the outline of the bookmark. 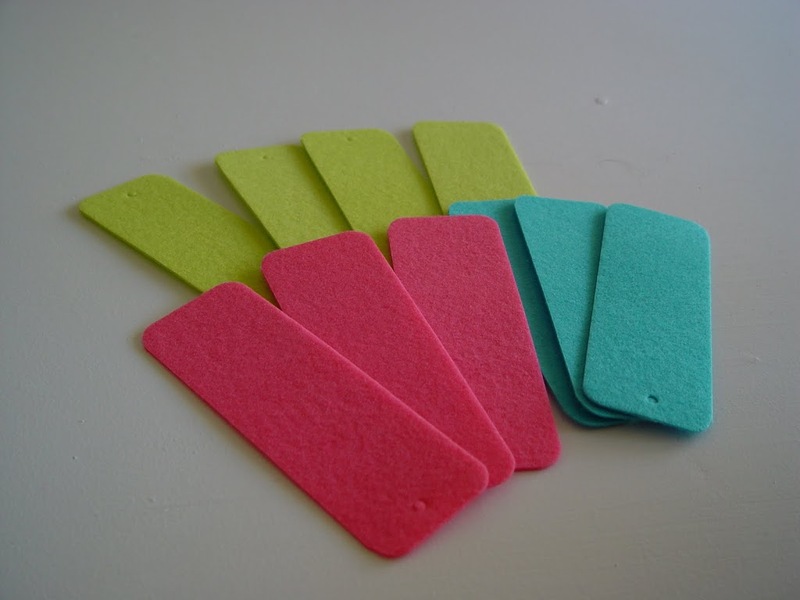 If it helps, use a water soluble fabric marker to trace the outline of the bookmark. 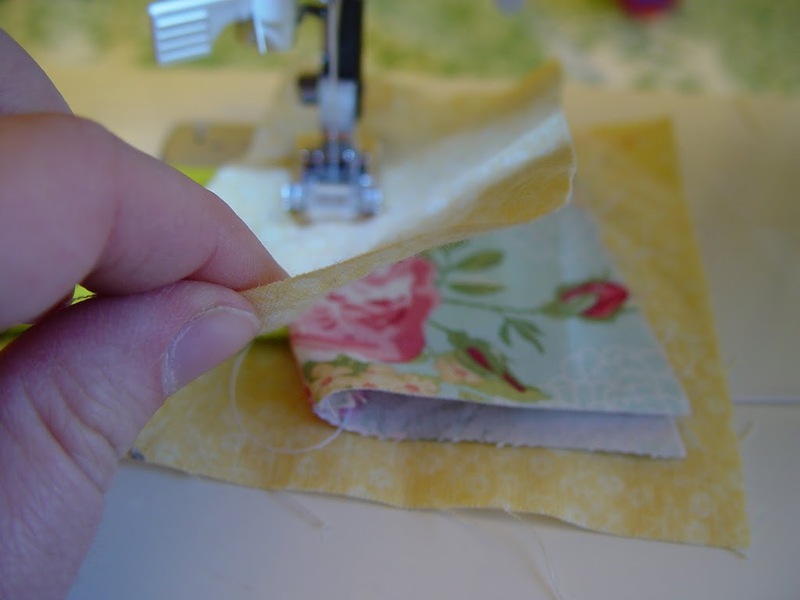 Sew around the edge (using the line as a guide) using whatever stitch you like (straight, zig-zag, etc…). Don’t forget to get rid of your pen marks. 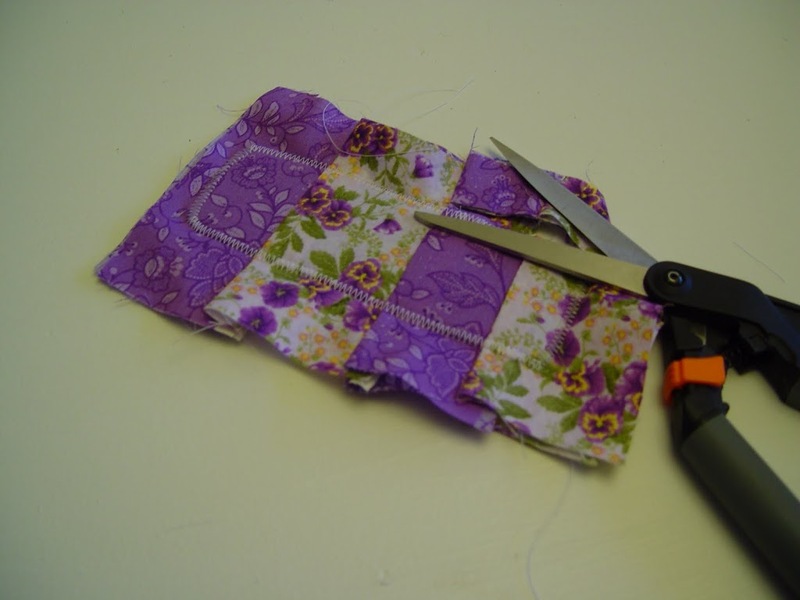 Cut around the outside of your stitches and you’re done! Here’s another variation: very simple. 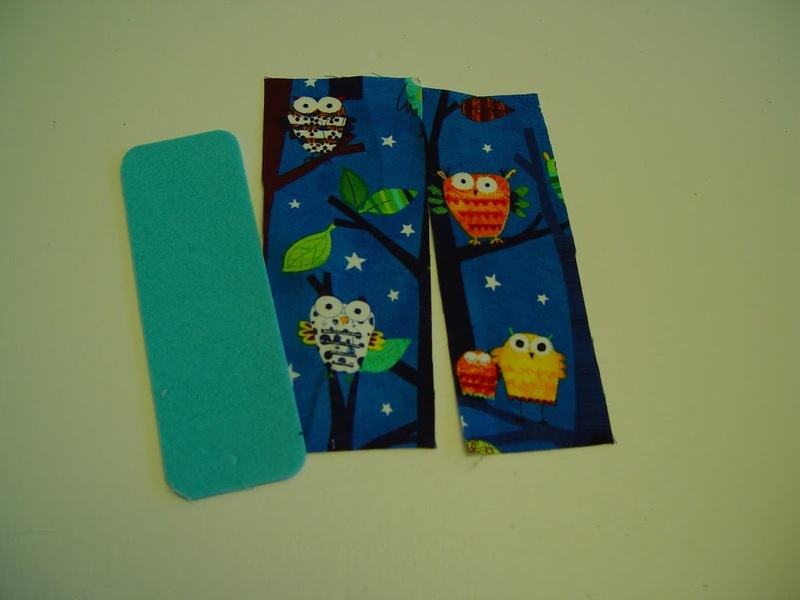 Use two scraps the size of the bookmark and just sew around the edge to make a solid bookmark. Another variation: Make vertical stripes of different fabric instead of horizontal ones. 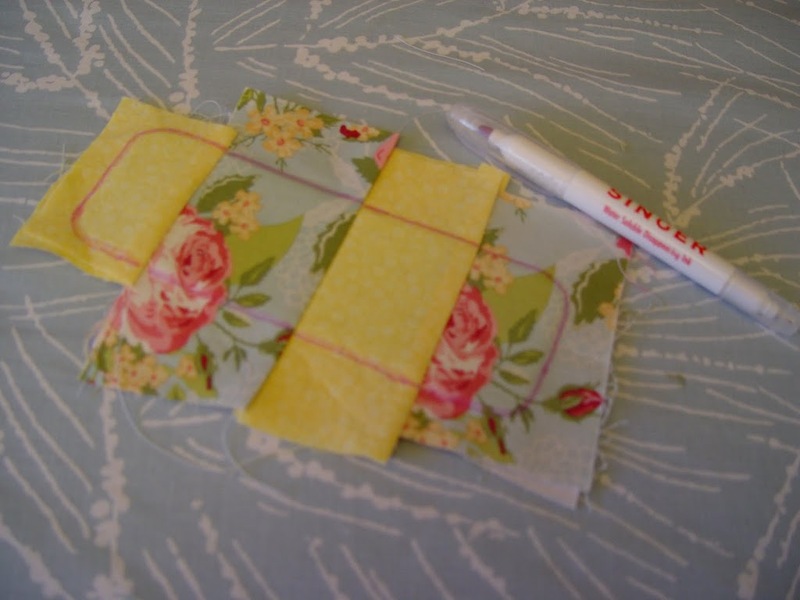 Add quilting lines to give it character too! Give it a try! Hope you enjoy this Earth Day and remember to save those scraps!